Australia’s fossil fuels sector will get $47bn in subsidies over next 4 years, report suggests. This, as Abbott government dug in over cuts to RET. In an budget forecast punctuated by fiscal belt tightening, Australia’s fossil fuel sector is set to receive a whopping $47 billion in federal government subsidies over the next four years, a new report has found. The analysis, released on Thursday by the Australian Conservation Foundation, uses federal budget data confirmed by this week’s mid-year economic and fiscal outlook (MYEFO) to identify and tally government handouts for the production and use of fossil fuels. Among the biggest are the Fuel Tax Credit scheme ($27.9 billion over four years), concessional rate of excise on aviation fuel ($5.5 billion), accelerated depreciation rules ($1.5 billion) and the removal of the carbon price ($12.5 billion). Meanwhile, the renewable energy industry remains under a cloud of uncertainty, with renewed federal government attacks on the Renewable Energy Target (RET) coming just a week after Foreign Minister Julie Bishop used it to bolster Australia’s climate credentials in Lima. According to figures released by the Labor Party today, investment in renewables in Australia has fallen by 70 per cent since the Coalition came to power. Progress on negotiations for the RET stalled recently when Labor abandoned talks, saying that the Abbott government’s position of a 40 per cent cut to the target was unacceptable. Labor’s current position on RET, which was today endorsed by peak renweables body the Clean Energy Council, is that a middle ground can be reached that would support both renewables growth and jobs in emissions intensive, trade exposed sectors. It has called for no changes to the Small-Scale Renewable Energy Scheme; possible exemption of energy intensive sectors from the LRET; minimal changes to the Large-Scale RET; and the locking in of a bipartisan agreement, to provide investment certainty to the renewables sector. This glaring divide between Australia’s renewables sector – which is languishing in political limbo – and its fossil fuels sector – which is being given multi-billion-dollar incentives to keep polluting – is part of the Abbott government’s “nonsensical approach” to energy, says ACF President Geoff Cousins. “With one hand the Government encourages pollution by giving the Fuel Tax Credit diesel subsidy to the mining industry and others, then with the other hand it gives out money through so called ‘Direct Action’, which subsidises businesses to reduce emissions,” Cousins said. “Unfortunately the $47 billion incentive to pollute is much stronger than Direct Action’s $1 billion incentive to reduce pollution. Cousins points to the Fuel Tax Credit scheme – which allows corporations like Rio Tinto and BHP Billiton to pay virtually no tax on the diesel they use – as the most perverse of the subsidies, given car drivers and small businesses pay nearly 39c in tax for every litre of fuel they buy. Figures released in this week’s mid-year economic and fiscal outlook (MYEFO) show that of the $4.2 billion extra the government will raise through the indexation of fuel excise, $1.9 billion will be refunded to eligible businesses via the Fuel Tax Credit scheme. “For a Government that desperately needs to find some Budget savings, cutting fossil fuel handouts that encourage pollution should be obvious,” Cousins said. 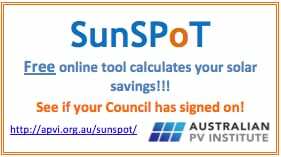 Yes time to eliminate Fed Govt Corporate Charity on diesel fuel rebates ,its stifling innovation in sustainable renewable –in off grid locations. as it’s a logic driven exemption, this would flow to farming also. should it be abolished totally or just from a pet hate industry? I see where you are going with this and I would suggest ‘it depends’. If the exemption is flowing to large scale factory farms which pollute and use harmful practices, then yes, ditch. However if a farm is using sustainable practices and is in NEED of the exemption to be competitive as they perfect new technologies, etc., then no, they should be supported. There is a need to rethink the whole ‘we need incentives for people to invest here rather than there’ logic. It’s like saying ‘if I buy all these people drinks, they will like me’. Our resources are valuable and deserve to be treated as such. Can we have the relevant ministers come out and tell us how they justify this rort!! Diesel fuel excise is charged for road maintenance and construction, Businesses such as commercial fishers, farmers and miners who use diesel for off-road purposes are exempt, Making these businesses pay a road use tax when they are not using the road is a real rort! Should we include the tax breaks for prospecting for fossil fuels ? I mean, renewable sources of energy (with perhaps hot rocks being an exception) don’t need any taxpayers money or work done to find them. The need to charge for EV road use will hopefully result in a complete re-think of our current taxation regime for road users. Fuel excise, driver’s licence fees, rego fees, and stamp duty on vehicle purchases should all be ditched and replaced with a road usage charge that includes peak time loadings to send a price signal to those who congest our roads. Very good point, smart phones and GPS in vehicles could be used to work out a per km rate of road tax/levy. Every road effectively becomes a toll road. You could then argue that no one should pay fuel excise, just the GST and a tax to reflect health costs of pollution. re “part of the Abbott government’s “nonsensical approach” to energy, says ACF President Geoff Cousins.” — nothing to do with any sense of the collective good, and everything to do with cronyism and revolving doors. I wonder why the cost to our health system (dust coal from coal mining, transport and emission of pollutants from power stations etc.) cost of water resources (need to build pipelines and desalination plants to compensate for massive water use) and cost of mine and power station rehabilitation are not included. If we make very conservative calculations, the true cost to the community would be well over $100 Billion. It looks like one industry is getting free champagne and caviar but wants the masses to be charged for sunshine. This is an interesting article which establishes at least some of the hidden transfers and cross subsidies. Why aren’t all externalities properly costed when public financing decisions are made? Conservative governments would do well to live up to a truly conservative position and not splash public funds around on dangerous polluting activities. There is also the tax concessions and the big avioders what would the amount be if these items were added?. Nothing compared to the money wasted on Windpower. on my research for up to date facts I found the IMF estimate for 2015. Fossil fuel companies are benefiting from subsidies of $5.3tn. http://strom-report.de/fossil-fuel-subsidy/ Unbelievable!